Experiencing problems with component supply for EZL-70(A) we highly recommend CSE-M73 for new system. 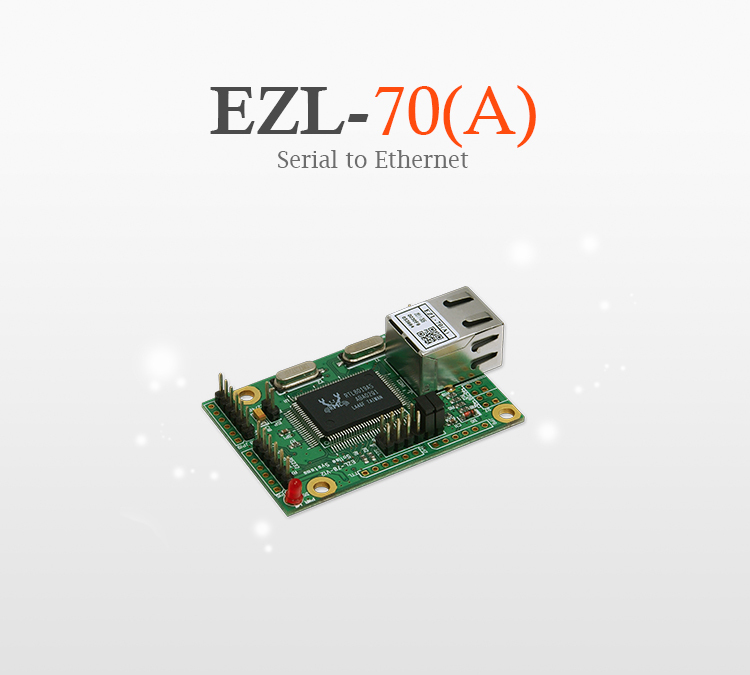 EZL-70(A) is an embedded serial to Ethernet module with a built-in RJ45 connector for Ethernet interface. Embedded with the highly accumulated TCP/IP technology, this module enables your serial equipment to access to the network without changing legacy software. In other words, EZL-70(A) handles TCP/IP protocols to provide your serial equipment with seamless network connectivity, so as to help you control, monitor and manage your serial equipment at a remote site. This serial to Ethernet module also helps you minimize the hassle needed to mount since it comes equipped with a RJ45 connector and serial port interfaced with RS232, RS422 and RS485. EZL-70(A) is can be used for various systems such as Solar Energy Management System, Automatic Remote Meter Reading System, etc.